Grand Canyon National Park is famous for incredible views in every direction. 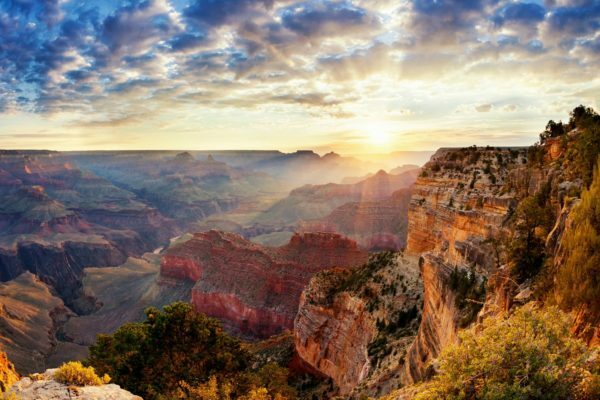 From the views right along the Rim to deep in the canyon, here are a few of our favorites. If you’re headed to the park’s South Main Entrance on the South Rim for the first time, Mather Point is usually the go-to iconic viewpoint. 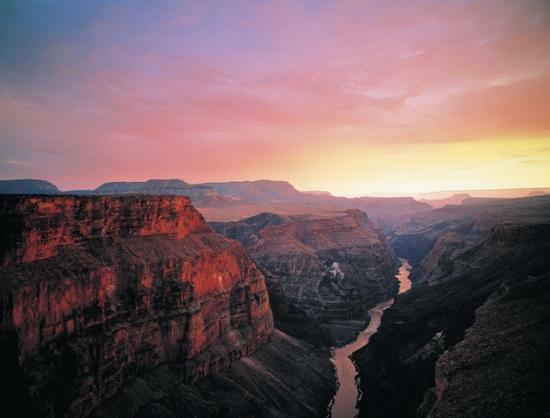 It’s a great introduction to the immensity of the Grand Canyon. The most peaceful time to visit is during sunrise or just before sunset. A majority of those that visit Grand Canyon National Park go to the South Rim because it’s easier to get to coming from any direction and open year-round, unlike the North Rim which is closed from October to May. 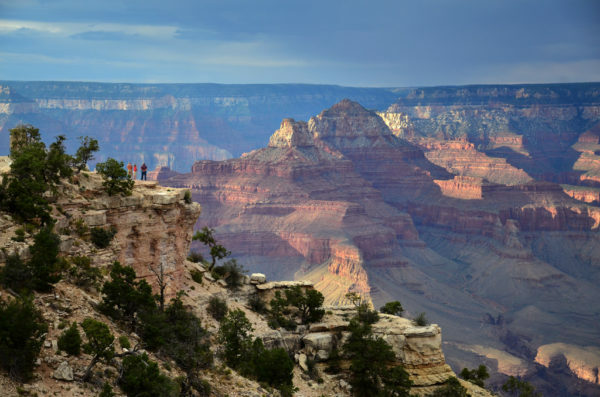 What’s more, a majority of those that visit the Grand Canyon never hike below the Rim – so unless you head to the North Rim and hike 2.6 miles down the North Kaibab Trail, you’ll miss out on this incredible view. There’s nothing quite like watching the morning sun creep down the canyon walls to expose the deepest parts of the canyon. Hopi Point is along the South Rim’s Rim Trail, and famous for being a prime sunset-watching location with its incredible vistas and view of the Colorado River cutting into the canyon to the west. 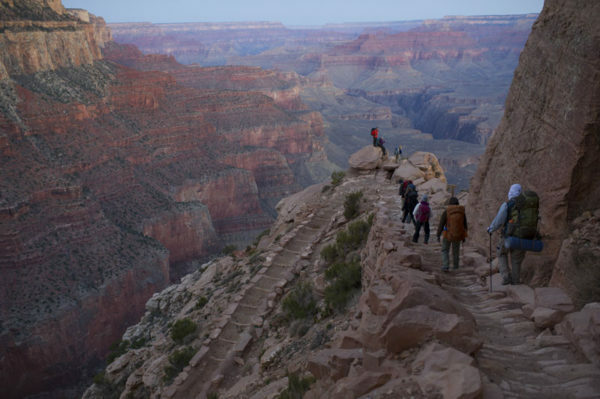 Plateau Point is not reached by car, but rather by foot – 10 miles (out and back) along the Bright Angel Trail to be exact. Every step is worth it to witness the Colorado River winding it’s way through the canyon and a view of endless mesas and plateaus. Shoshone Point is a special viewpoint because very few people visit as it is not really advertised on any park maps. If you drive a mile down the unpaved East Rim Drive you will come to a parking area with picnic tables and restrooms. From here, you’ll get out of your car and take an easy 20 minute walk to the rim through ponderosa pines. 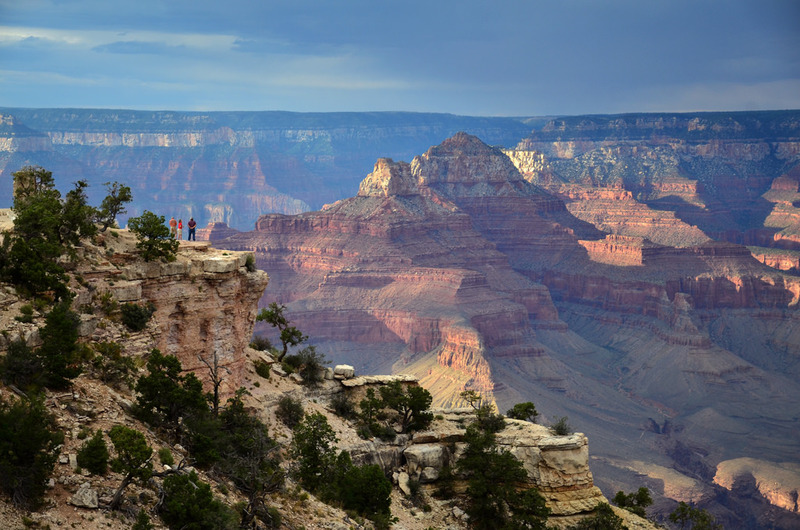 The point itself is a natural rock outcropping, with more than 180 degree views of the Grand Canyon. Desert View is quite unique compared to other viewpoints as it provides a view of the open canyon, and the bend of the Colorado River making a turn from southbound to westbound. The Desert Watchtower, built in 1932, still stands tall on the cliff’s edge. 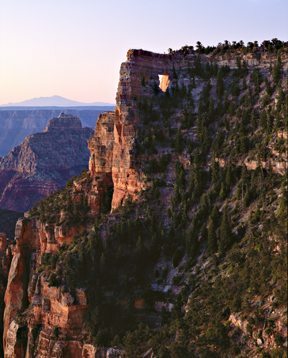 Angel’s Window can be viewed from Cape Royal on the North Rim, which is located on the southernmost tip of the Grand Canyon’s Walhalla Plateau. There is an easy half-mile walking path off of the main trail to view the natural arch, where you can see the Colorado River through the “window.” For the more adventurous hikers, you can continue on the trail across the arch to a viewpoint on the tip of this outcropping. The Black Bridge and the Silver Bridge have provided crossings for hundreds of miles in each direction along the Colorado River corridor. 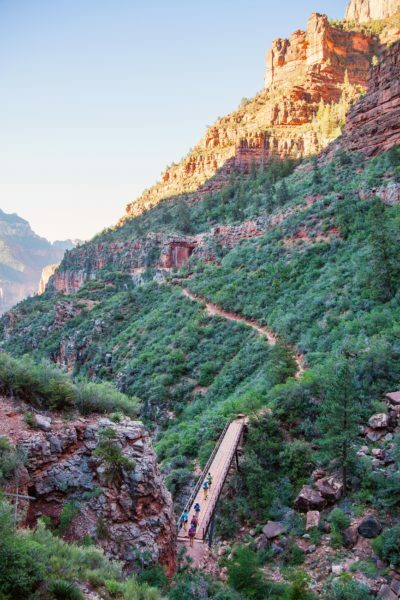 Standing on either of these bridges, you might feel a great appreciation for being one of the few (in comparison to all Grand Canyon visitors) who get to cross the bridge. Beneath you the mighty Colorado River flows and the mighty canyon walls tower above. 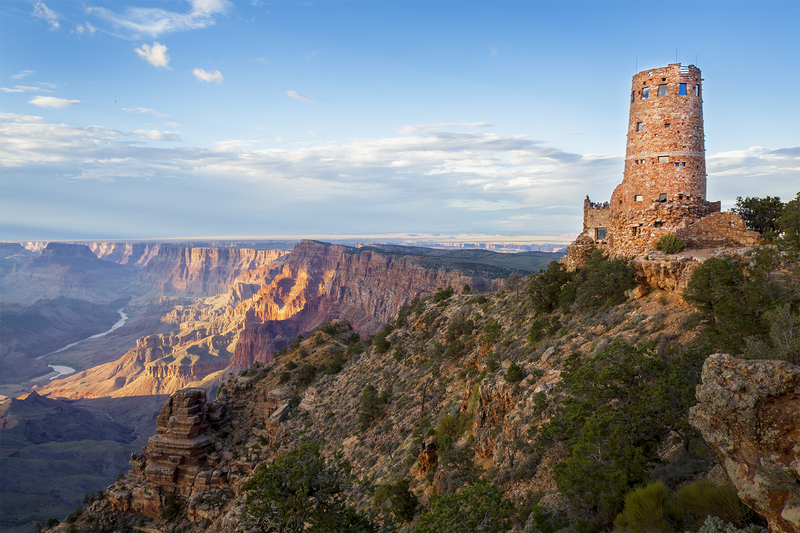 Ooh Ah Point is located just .9 miles from the South Kaibab Trailhead – 1.8 miles roundtrip. It is a steep descent to this point and not for those with a fear of heights but worth the effort to see panoramic views of the inner canyon unlike any other! Toroweap, also known as Tuweep Overlooks offers a dramatic view of the Colorado coming down through the canyon. Because it is inaccessible for most, it provides quite the remote, rustic experience. To get to this overlook, you’ll need a high clearance vehicle. There is also no water, gas, food, lodging, or phone service, so make sure you are prepared before you go.